All Travel Teams compete in either the Premier Hockey League of New England (PHL) or the Southern New England Hockey Conference (SNEHC)., which includes competing for and participating in play offs with the goal being to advance and potentially participate in Regional play. In addition certain Teams will participate in the Eastern Junior Elite Prospects League (EJEPL) as a supplement to their normal League Schedule. Also each team will have the opportunity to play in instate or out of state tournaments. This is a team by team decision and not mandated by the league. Warwick Junior Hockey will once again be fielding teams from Mites through Midgets for the 2019/20 season. All teams will compete in the either The Premier Hockey League of New England (PHL) or the Southern New England Hockey Conference (SNEHC). In addition, some teams will have the option to play a supplemental Eastern Junior Elite Prospects League (EJEPL) schedule. WJHA has been developing top players since 1959, and we feel our developmental path from LTS-Midgets is second to none. Parents will not have to spend $1000's extra to compete against top teams throughout New England and New York. Our team’s average 5 sheets per week, including 2-3 practices! Please check out our offerings below, and look to our website for age level meetings that are open to all prospective players and families. All of our coaches are USA Hockey certified. 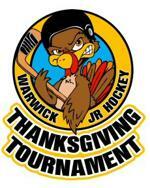 Our home rinks are Thayer and Warburton Arena in Warwick, as well as Benny Magiera Rink in West Warwick. House League is included in tuition, 1 skills practice per week and ½ ice games on Mite A will play full ice games in SNEHC, Mite B will play a full season of ½ ice games, Mite C will play a full season of cross-ice games, 12 Skills Training with Toby O’Brien from Overspeed Hockey, Preseason and Winter mid-season camp with Toby O’Brien, Mite C will participate in monthly skill sessions with Toby O’Brien. 2 practices per week Practice, 12 Skills Training with Toby O’Brien from Overspeed Hockey, Preseason and Winter mid-season camp with Toby O’Brien, Professional Coaching Staff, House League is included in tuition, Tournament allowance (allowance subject to entry in to EJEPL), Goalie Training by RIHA, 2-3 practices per week, plus house and travel games equals about 5 sheets per week. Bantam teams avg. 2-3 practices and travel games (no house league). Jerseys, socks, shells, and practice jerseys included with tuition. FAQ’s: What is the purpose of house league for travel players? Travel players (Mite through Peewee) also get to play House League on a weekly basis as part of their travel tuition. House league provides the opportunity for players to have lots of fun competing against their friends and working on their creative play. Mites, Squirts and at times the Peewees all use smaller ice surfaces during house league to enhance skill development and decision-making which is critical for your child’s long term success in the game. This ADM model is endorsed by USA Hockey and many of the top NHL and college coaches throughout the country. My child is a goalie, does he get training and any discounts? Yes, Mite A through Bantam Full-time Goalies, as well as Midget SNEHC goalies will receive training at RIHA as well as reduced tuition. All travel teams will also assign a goalie, specific coach, to work with your child on the ice during the season. I hear a lot about skating coaches performing training for other leagues, do the Jr. Blues and Wave have any training? New for 2019/20 season: All Blues and Wave players will have skating and skills sessions with Overspeed Hockey and Toby O’Brien throughout the season (12 on ice sessions). They will also have a preseason and midseason clinic included in their tuition. Toby will focus on over speed training, edges, balance, small area games, puck possession, puck support and much more! We will push our players to get out of a comfort zone to reach their maximum potential. All coaches will correct our players during each session. We will focus on proper techniques that will enhance our players skill set. We are excited for our players and coaches to learn and improve with Toby and Overspeed Hockey! *Teams fielded will be subject to the number of players enrolled. ©2019 Warwick Junior Hockey / SportsEngine. All Rights Reserved.